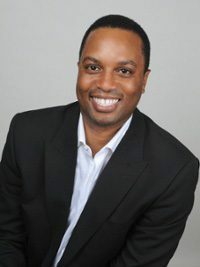 Dr Michael McAfee, Co-Director of the Promise Neighbourhoods Institute and the Vice-President for Programs at PolicyLink. Michael has spent over 20 years working in the government, philanthropic, and human-services sectors, including leading cross-sector efforts to invest over US$700 million into distressed communities. He believes in the benefits of effective coordination of the efforts of schools, families, social services, health centres and the community to provide effective services to improve the lives of children and communities.